My Weather Indicator is a handy appindicator, useful to display in-depth weather informations, as well as weather forecasts, presenting itself as a versatile weather tool. My Weather Indicator exposes on the Unity panel temperature degrees, backed by monochrome icons and, by clicking Forecast, the user can observe detailed properly organized weather forecasts, featuring Day of weeks, Sunrise, Sunset, Moon Phase, Conditions, etc. 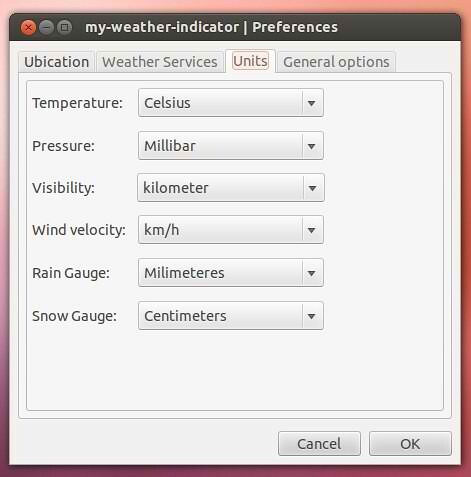 My Weather Indicator has just been updated to another interesting release, 0.5, introducing further configuration details and enhanced exposed data. Units has received extra informations to be tweaked according to one's preferences, such as Pressure (Millibar, Inches of mercury, Millimeters of mercury), Visibility (kilometer, mile), Rain Gauge (Millimeters, Centimeters, Inches) and Snow Gauge (Centimeters, Millimeters, Inches). Along with the mentioned new features, the 0.5 release brings an enhanced geolocation process and various bug fixes and optimizations. 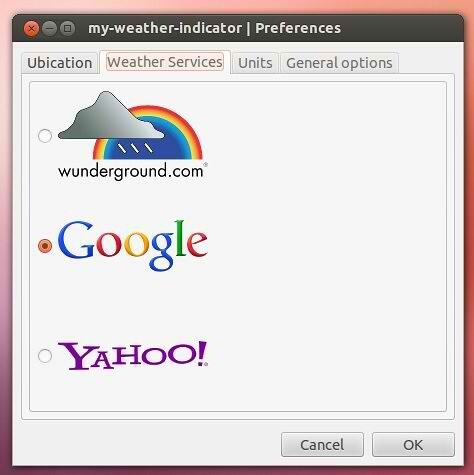 1 comment to ''Install My Weather Indicator 0.5 in Ubuntu or Linux Mint"
No good. Refuses to show up in cinnamon. Requires Gnome shell or a derivative.